Although Tongchuan was famous for its JFs, they only performed a small fraction of the work by 2004. The line's five diesels could handle twice as many wagons on the climb and usually worked the longer turns to the collieries at Dongpo and Hongtou. All the diesels were class DF7 variants, two DF7B, two DF7C and the protoype DF7F. 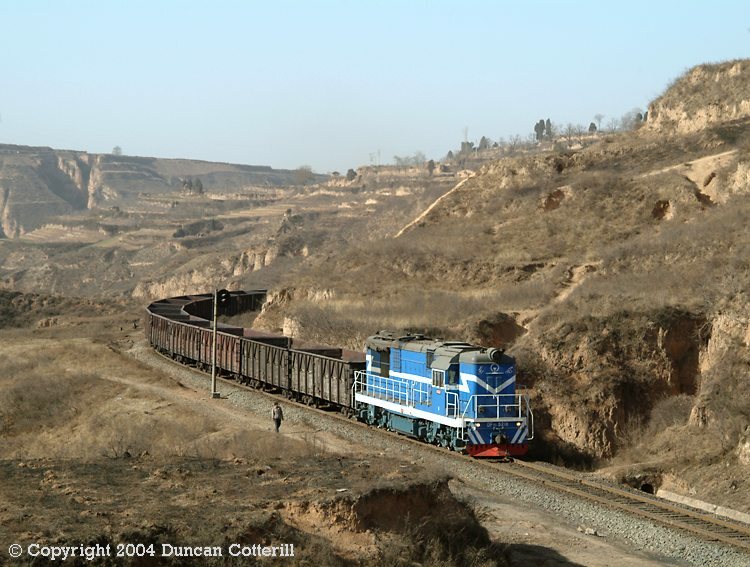 On the morning of 14 February 2004, DF7C 5218, took a long rake of empties up the hill from Tongchuan. The diesel was working to Wangshiwa on this occasion, robbing us of two JF workings.